Advice for first time failer. 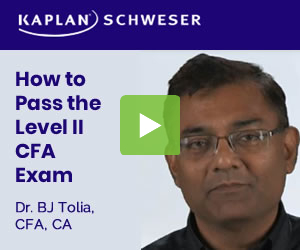 For those who have failed this (or any other CFA exam), do you have any advice for a first time failer? I have never really ‘failed’ any exam I put this much time/effort into. I was averaging 70%’s on the practice exams but walked out of there with the worst feeling in the world. I could only count 19 out of 60 questions on the PM section I was sure I got right. So I failed. I am really having a hard time dealing with it. I’ve never had to endure this kind of total failure - where my efforts count for 0 at the end of the day. I think coming on here and seeing all the people who were like - “oh yeah I wasn’t surprised, seemed pretty fair, think I did well” is making it worse. How do you cope with this kind of failure? What can you do to get your mind off the fact that you just wasted hundreds of hours of your life for no tangible result? If you didn’t fail before this , you didn’t try anything worth your while. Failure is the stepping stone to success , I know you have heard this a thousand times. Believe it now. You have to fail to succeed. Its the way of life. Professional exams <> university exams. Smart people fail. Smarter people dust themselves off and get back on the horse. i remember there was one guy in the forum who said this:”i spent my past five years constructing CDO, and I got all the CDO questions wrong”. so, failing the exam doesnt mean anything but gaining a worthy experience. look at the bright side, you at least have one more year to study the stuff well, better fundation for level 3 and work! > was sure I got right. So I failed. > I am really having a hard time dealing with it. > is making it worse. I can so much relate to you on this. I just have a hope flickering that MPS falls and I squeek by. But having a fail will be a disaster to my confidence and I wonder how am I going to cope with this feeling for the whole one year? Ugh! Well, I guess just chill for now and then you never know. Any advice on how do you get yourself to stop thinking about it all the time? I’m surrounded by this stuff at work, makes me sick to my stomach. ‘If it doesn’t kill you, it makes you stronger!!!! right? Does anyone know why Level 2 isnt offered in December? That would take away half the angst of failing. Agree with everything thats being said. I took it 2nd time as well this year and though not a 100% sure on whats going to be the outcome, I definitley feel more knowledgable and confident of my underdstanding of the concepts, to the point where I can have a decent argument on many of the topics covered. I had also changed my approach to the exam where I tried to apply a lot of the concepts to the company I work for i.e. accruals ratio, earnings quality, dupont analysis, valuation, relationship between interest rates, currencies and inflation - and this increased my curiosity a great deal, to the point where studying for the exam was enjoyable (barring the last week). The first time I took the exam I was scared of derivatives, and I found derivatives to be one of my strengths on this exam - 360! Too true. Remembering this helps me keep my head on straight. Yes, the exam is given once a year, and yes, I’ll be bummed if I have to resit a level. But I’m going to have a career that spans probably close to forty plus years. I’ve decided that this is something I want next to my name, and that’s all there is to it. If I don’t get it this time, I’ll get it the next. > time, I’ll get it the next. yea i was a band 10 level I guy, then i rallied and got >70% in every single section the second time. pick yourself back up and do it again, thats all. I have failed on lots of exams in my life. I know the feeling of sitting at an exam and not being able to fill in one single answer (not the CFA exam but one where you had to do math calculations). I also know the feeling of scoring all points of an exam, virtually being the best in a class. I failed Level I three times: first time around my dad died very untimely so I had to ditch any plans on pursuing it. The second time around I just wasn’t able to get through the curriculum on time, I didn’t know how to study but tried to do it the way I had studied at university. The third time I passed. Then, for Level II, I first made a pause to take the FRM (“better a bird in the hand …”). Then I had to ditch any plans of pursuing because I fell ill and couldn’t keep up. This time around I might have a fair chance of passing. Or maybe not, who knows. These tests are really tricky, you never really know whether you’ve passed or failed until you see the result. Whatever happens you efforts don’t count for zero. If you don’t pass you’ll be better prepared the next time around. If you did indeed pass (there’s still a chance you did) you know you’ll have to prepare even more the third time around, and maybe change something about how you are approaching the material - by using different study guides, other preparation material, putting more of an effort towards answering questions than on mere reading, et cetera.